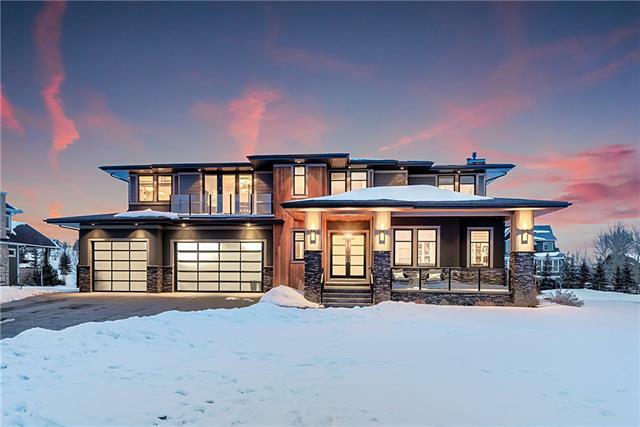 This spectacular home offers over 5300 sqft of luxury with 6 bedrooms, 4.5 baths, and panoramic mountain views. The Open Concept main floor is built for entertaining and features 10’ ceilings, a SITE BUILT CUSTOM KITCHEN with a huge island, top of the line appliances, a flex room, spacious dining room, formal living room with fireplace, an office and a large mud-room entering into a fully finished, oversized, heated triple garage. The second floor has a gracious master bedroom with a 5 piece -ensuite and walk-in closet with custom built-ins. There are 2 bedrooms with a Jack & Jill bath, a large GUEST SUITE with a 3 piece bath, a BONUS ROOM and laundry room. The WALK-OUT level features 2 additional bedrooms, bath, gym, rec and media room with wet bar. Tons of upgrades such as IN-FLOOR Heat, A/C, irrigation, custom built-ins, covered deck/patio, solid core doors & much more. THIS IS THE 2017 SAM (BILD) HOME OF THE YEAR WINNER. Home for sale at 161 Glyde Pa Rural Rocky View County, Alberts T3Z 0A1. 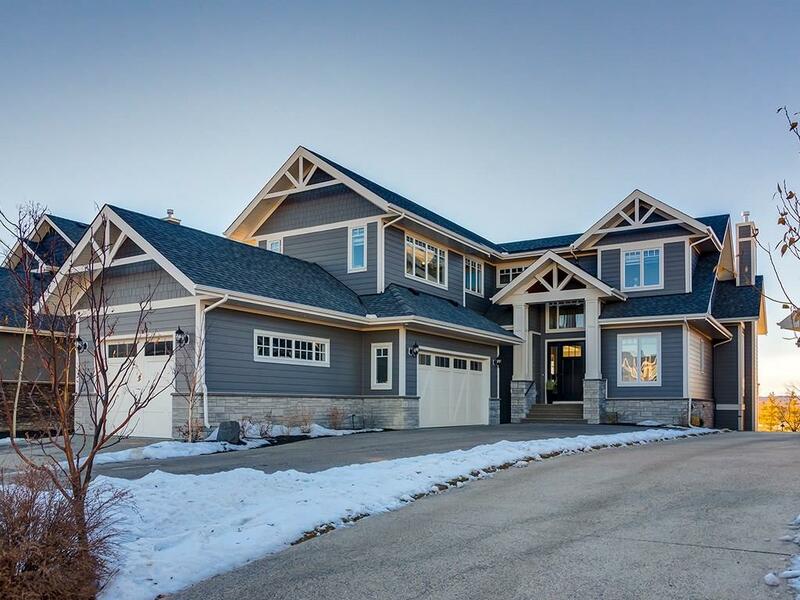 Description: The home at 161 Glyde Pa Rural Rocky View County, Alberta T3Z 0A1 with the MLS® Number C4221019 is currently listed at $1,675,000.